Please make sure these two domains are added to the trusted sites in IE or Microsoft Edge: https://admin.teams.microsoft.com and https://login.microsoftonline.com. If you are using other browsers, please close all browser windows and try again. 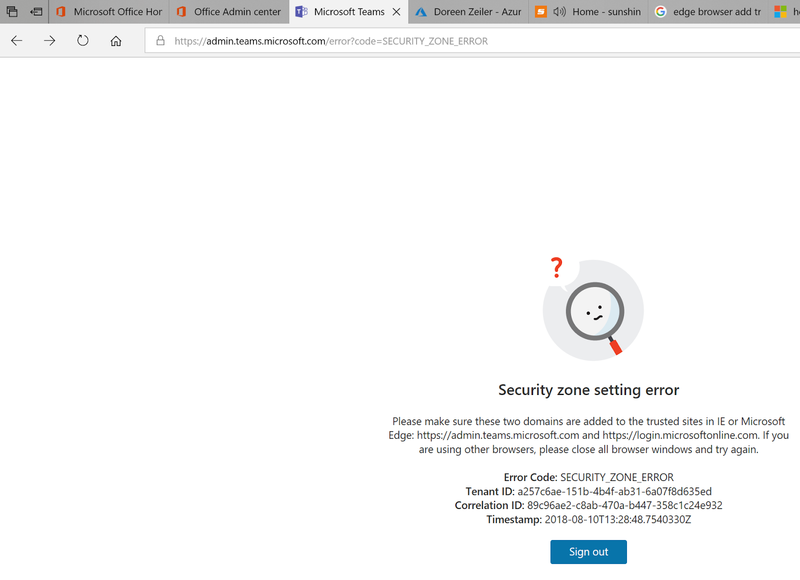 You need to add the https://admin.teams.microsoft.com and the https://login.microsoftonline.com page to the trust site. As of now, the feature in adding trusted websites on Microsoft Edge is not yet available on both Windows 10 PC and Phone. This very troublesome, but this work a round solves the problem for now. Type inetcpl.cpl, and then press Enter. Internet Properties window will open. Select Security tab. Under Trusted Sites, click on Sites button. In the Add this website to the zone box, type in the website that you wanted to add. Open Microsoft Edge on the Windows 10 PC. On the top-right corner of the window, click on the 3 dots icon. Under Import favorites and other info, click on Import from another browser button. Select Internet Explorer, and then click on Import button. Under Account, click on Accounts settings. Under Accounts used by other apps, click on Add a Microsoft account link. Sign in your Microsoft account. Go back to Microsoft Edge window. 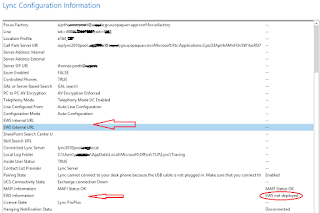 Click on Device sync settings link. if the issue occurs in the both named Bowser above. Thanks for the information. 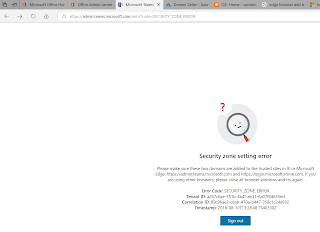 I am having this identical problem, and MS partner technical support actually referred me to your workaround, however, after following the steps I am still receiving the same Security Zone error.